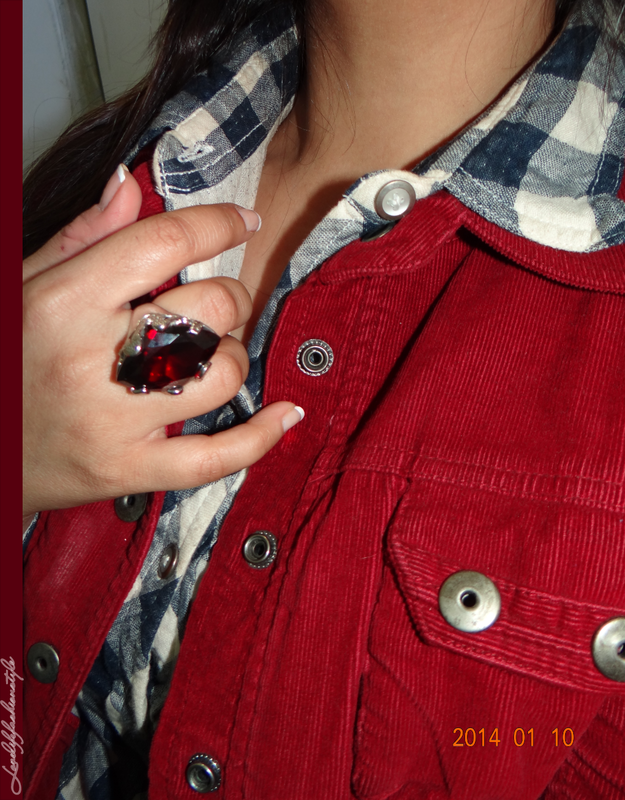 Peek-a-Boo Fridays :: Plaid Shirt + Codroi Marron Jacket ! So, Friday Fashion @ work for me is all about being Fun & Flirty but within the dress code limits… ! So, paired my favourite plaid shirt with these mint green bottoms. 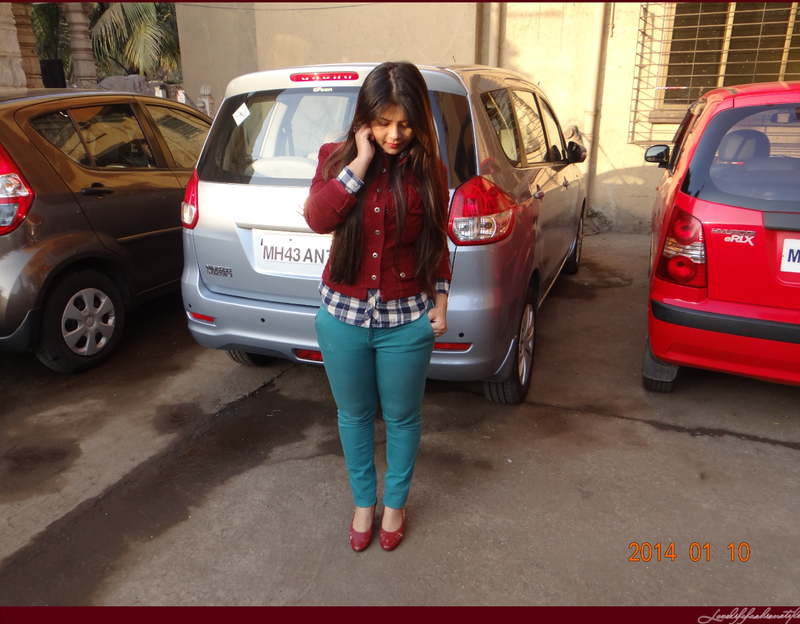 So, here, I decided to wear maroon jacket over it, giving my plaid a peek-a-boo effect which I think looks really cutie…, don’t you think?? The jacket not only kept me warm all throughout the day but also gave the whole look more structured and uniform appeal. 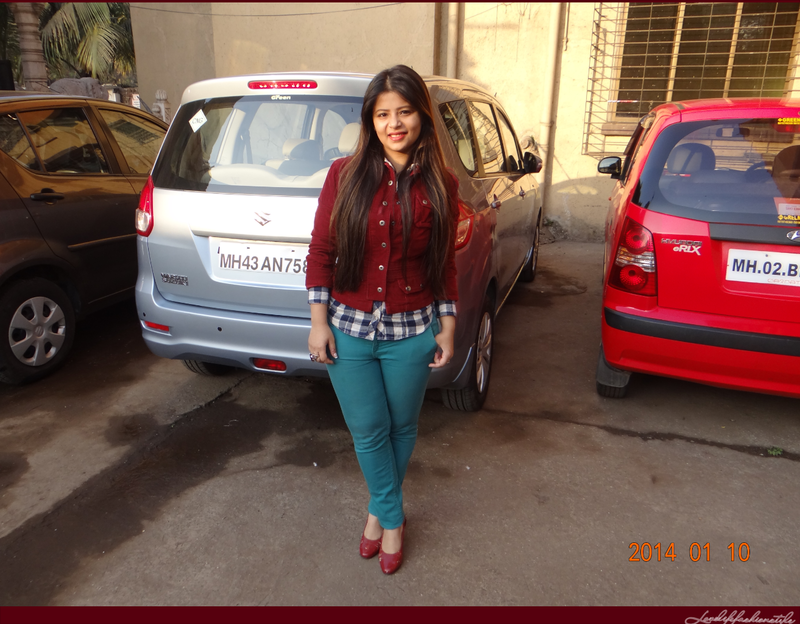 Hope you guys liked the look and hope you guys are all set to welcome the Great Weekend Ahead….! Previous Post Comfort Travel :: Statement Plaid Overcoat + Big Bag Style! Next Post My Top 5 favorite Macs!